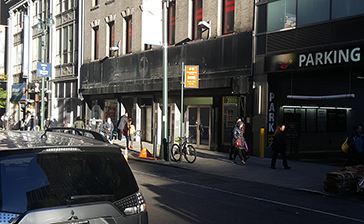 Convenient discount parking for the SpringHill Suites New York Midtown Manhattan/Fifth Avenue is available at the following parking locations. Click on a location name to find parking information or to print a discount coupon. Coupon must be presented at time of exit in order to redeem the special parking rate. Please print and bring one with you during your stay. The SpringHill Suites New York Midtown Manhattan/Fifth Avenue is nearby popular NYC attractions including Macy's, Madison Square Garden, the Highline, Bryant Park, and Times Square.